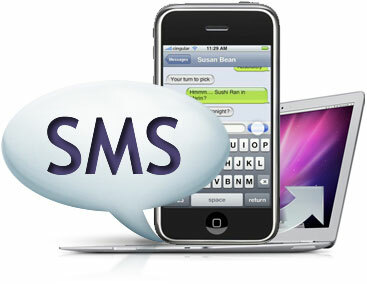 SMS marketing has quickly becoming a marketing sensation sweeping the nation and with good reason –it really works! Looking for a few SMS marketing facts? How about 10 of them? We’re here to provide you with 10 awesome SMS marketing facts that will certainly interest you. According to recent surveys, 2/3 of the world uses text message servicing. This equals approximately 1.8 million people. With so many people with cell phone in hand, and actively using SMS messaging, you can be certain that your marketing efforts will pay off. Four minutes. That is the average time that it takes for an individual to open a text message they’ve received on their phone. This is compared to 48 hours for email messages. When it is fast, instant communication that you seek, SMS marketing makes it possible. This is the average number of times an individual looks at their cell phone in a day. This means they’ll certainly be aware of your message quickly after it has been sent. According to these recent surveys more people prefer receiving messages via their mobile than through any other source. The findings also reported that users are 35 times more likely to redeem a coupon sent to them via SMS marketing. This is one of the very interesting SMS marketing facts all businesses can appreciate. With SMS marketing you can easily build your brand. Provide customers with an offer that will really entice them to visit your business and you can keep them with the right techniques in marketing. SMS message marketing first began being utilized in 1999. It was an accident, however the accident proved to be one that would change the world forever, and it has certainly changed the way that businesses market their products and services. The first text message from an individual was sent in 1992, and these years have certainly seen an increase in popularity of text message marketing. In 2011 the average person sent 350 messages per month, on average. With SMS marketing the consumer can communicate with businesses in many cases and this fact proves they will! While mobile messaging is designed as an effective way of communicating with consumers, it is also a wonderful way to communicate employees within your organization as well. You will find mobile messaging perfect for changes in schedules, notifying employees of meetings, interviews and so much more. It is a versatile form of communication that businesses of all size can utilize. SMS marketing is effective because there are more cell phones than PC in this world. And, it is more successful than other forms of marketing. What are those success rates? SMS marketing offers 95% success rates! According to Nielson Ratings, women are responsible for sending the largest amount of text messages, and reading them alike. And, women are also responsible for nearly 70% of all purchases that are made in stores. Sounds like mobile marketers are on to something! These are just 10 of the many interesting SMS marketing facts that you will enjoy knowing when considering using this service to promote your business. As you can see the benefits are pretty outstanding, and these are just the beginning of what you will find coming your way when you utilize SMS marketing! Do not miss out on these benefits another day! SMS Marketing Costs… How Much Are You Going To Pay?